The EN:Able Community Investment Fund (formerly known as the Frameworks 4 Good Fund) is one of the consortium’s delivery vehicles for social and economic regeneration in the communities of its member organisations. Each theme has a measurable outcome and delivery vehicles are built into the frameworks to ensure that the outcome is achieved. During the tender process prospective suppliers and contractors were evaluated on their responses demonstrating activities and projects they’d participated in which brought about social and economic benefit. Applying this approach has resulted in frameworks populated by contractors who understand the concepts behind social economic regeneration and can also contribute to the strategies which lead to its successful delivery. The fund will open for applications again on Wednesday 19 August 2015. Sheffield Mind are looking for volunteer befrienders to work with them on an exciting new project, supporting older people in Sheffield who are socially isolated. Their befrienders will receive full training and regular support from the befriending manager, they will also receive out of pocket expenses. Sheffield Mind are looking for people who are reliable & flexible, have empathy and respect for others and willing to make a regular commitment of 2-3 hours per week. Befrienders will typically be working during office hours, Monday to Friday 9-5 but they also need people who are able to volunteer in the evenings and at weekends. thinking about taking on apprentice in Business Administration, Retail, Marketing, Warehousing, Hospitality or Customer Service, The Source Academy can help. Due to an increase in Enterprise activity, the Princes Trust has an urgent need for volunteers to support its young people. 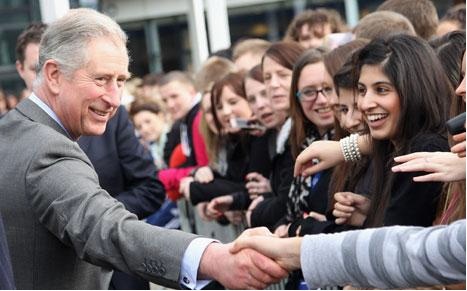 The Princes Trust is the UK’s leading youth charity. It supports thousands of young people every year into education, employment, training and volunteering. The Trust delivers is its Enterprise Programme which helps unemployed young people between 18 and 30 years into self employment. In South Yorkshire there is an urgent need to recruit more volunteer Business Mentors. Business Mentors support young entrepreneurs on a one to one basis for up to two years. They act as a sounding board for young people and help them develop and grow their business over the longer term. To be a Business Mentor for The Trust involves patience, tenacity and an ability to work with a variety of young people. Mentors need to be willing to meet their young entrepreneur monthly and have occasional contact by email or phone. Typically, the Trust is looking for volunteers who can commit to 5 or 6 hours each month. The recruitment process involves completion of an application form followed by an interview and training. In return, the Trust can offer a great opportunity to individuals who want to make a real difference to young people’s lives. Mentoring for the Trust offers people the chance to develop themselves as individuals, build their confidence and give something back to their communities. Love talking about sport or hearing others “remember when…”? We are looking for sports fans to help deliver weekly sporting reminiscence groups for older people, some of whom may be lonely or living with dementia; and to discover and share their memories about the sports they love. Unlocking sporting memories is about to become a powerful tool in tackling loneliness, depression and dementia amongst older people in Sheffield. It’s already received national awards for helping improve the lives of older people and we’re pleased to be part of it. As a summer of sport kicks off, we’re putting plans in place to launch sporting memories groups at five libraries across the city this autumn. Sports fans are now being sought to help with regular sessions and to help research the sporting history of Sheffield. Would you like to volunteer at one of these libraries? Whether it is cricket, rugby, football, boxing, snooker or athletics, by using old photographs, newspaper articles and memorabilia, discussion can help older people forge new friendships, share great memories and sometimes even get back into sport themselves. Full training and on-going support will be provided for this rewarding and fulfilling role. Every year each of the four Wards that make up the Central area will produce Ward Priorities. Councillors are currently in the process of refreshing their Ward Priorities for 2015/16. The refreshing of the priorities may result in small changes, large changes or no changes at all. The Ward Councillors with the support of the Locality Officer will outline 3 or 4 local priorities that the Councillors agree they will work together on. The priorities have been informed by the local community, advice from service providers and local statistics, which all contribute towards outlining the Ward Priorities for each of the four wards in the Central Area. The ward priorities will help to provide the legal justification for Councillors decisions about how they allocate the Ward Pot. They will also be used to inform local people about what their local Councillors and partners are working towards. Ward Priorities will be refreshed on an annual basis following local consultation. If you would like to view some of the statistics that have helped inform the priorities you can look at the Ward Profiles that are produced every two years. The following link provides access to the 2013 Ward Profile for each Ward in the City – https://www.sheffield.gov.uk/your-city-council/sheffield-profile/ward-profiles.html. Sheffield Bus Partnership would like to hear your thoughts about their recommendations for a revised city-wide bus network. The public consultation runs from Monday 6 July to Friday 31 July. Paper copies of the questionnaire are also available from customer service desks at Sheffield, Meadowhall, Arundel Gate, Hillsborough, Dinnington and Rotherham Interchange. Please return paper questionnaires by Monday 27 July to a customer service desk drop-box or by post to: Sheffield Bus Partnership, 11 Broad Street West, Sheffield, S1 2BQ.